Beautifully positioned between Óbidos and the fishing village of Peniche, this luxurious resort is the perfect retreat from the hustle and bustle of everyday life. As well as the Marriott at the Praia Del Rey Resort which is first class hotel style accomodation previously posted, the Apartments Praia D' El Rey on the Golf & Beach Resort offer 60 elegantly furnished apartments for guests looking to spend a memorable holiday. Explore the region by rental bike or car. Golfing, tennis and swimming are just some of the activities on offer at the resort. If you would prefer a more luxurious property on this Silver Coast resort, see Villa Rental Praia del Rey at Portugal Holiday Destinations. 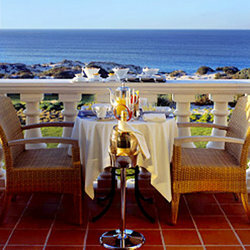 Five-star luxury resort hotel in Western Portugal. Situated on six hundred acres ten miles west of the medieval fortress town of Obidos and just a one hour drive from Lisbon, the hotel offers deluxe guest accommodations with breathtaking views of the Atlantic Ocean and Praia D'El Rey golf course. 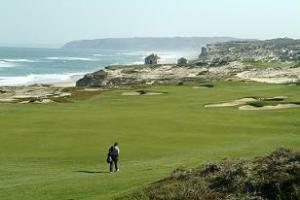 This eighteen hole championship seaside course will challenge and entertain any level of golfer. Golf World Magazine previously ranked the course 13 on its list of the top one hundred courses in continental Europe. 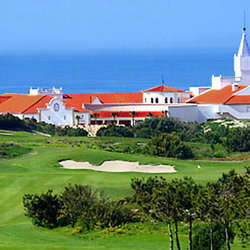 The course was Winner Of European Golf Resort 2007.